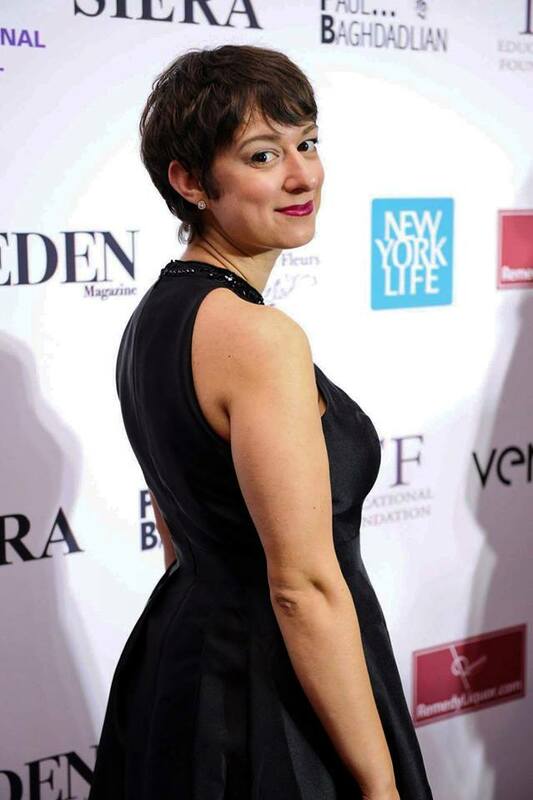 Smurr at the 20th Annual Arpa International Film Festival Awards Ceremony and Gala (2017) with her Best Short nominated film, What Ana Knew. Smurr performing a monologue at Art for Social Change at Cal's first exhibition in 2012. Smurr's documentation of downtown revitalization movement in Fresno, CA. Zoë Smurr is a filmmaker, memoirist and performer who loves telling stories about identity, memory and "imagined place." She is often inspired by her experiences coping with her father's early-onset Alzheimer's disease, as seen in her award-winning documentary short "Love, Zoë." This intimate family portrait follows the filmmakers journey as she prepares to get married and have her dad walk her down the aisle, and her mom prepares to divorce her dad and marry his caregiver. Smurr is a fellow with Film Independent's Incubator Lab, developing a pilot for her original web series "Co-opted," a semi-autobiographical dramedy about her experiences living in the infamous Cloyne Court Hotel and Casino while she attended UC Berkeley. She graduated from Loyola Marymount University with her M.F.A. in Film Production in 2017 and holds a B.A. in English Literature from UC Berkeley. Hailing from Fresno, California, Smurr began her career in entertainment performing in local theatre productions at Roger Rocka's Dinner Theatre, where the likes of Audra McDonald and Chris Colfer got their starts. She was an active member of Fresno City College's theatre program from 2009 to 2011, when she was selected to direct a short student-written play, nominated for an "Irene Ryan" for her performance in Teasers, and competed as an actor at the regional 2010 Kennedy Center American College Theater Festival in Los Angeles. While attending UC Berkeley, Smurr was a founding member of Art for Social Change at Cal, a collective of students, artists and activists collaborating with diverse communities in the Berkeley area to raise awareness and discourse through art. She commissioned writers and actors, as well as acted herself, in a series of self-curated "Marginalization Monologues" about undocumented students, homelessness and human trafficking at the collective's first exhibition in Berkeley, California in 2012. She taught theatre as an elective to middle school girls at REALM Charter School in Berkeley while interning with Cal C.R.E.A.T.E., as well as published the academic article “Punk or Poetess? : The Female Author’s Struggle for Rhetorical Power and Ownership Over the Body in Restoration England” in The Folio – UC Berkeley’s English Undergraduate Journal in the spring of 2013. Before attending LMU's School of Film and Television, Smurr began documenting downtown revitalization efforts in her hometown of Fresno by filming the youth who were combatting urban sprawl and pioneering a movement through their art and music to stake out the desolate downtown for themselves. She has aspirations of adapting Pulitzer Prize-winning writer and fellow Fresnan William Saroyan’s short stories into films one day. Smurr is a two-time recipient of the prestigious Cosgrove Family Endowment, a full-tuition scholarship through LMU’s SFTV. She worked as SFTV’s Communications Graduate Assistant writing feature stories for the LogLines newsletter, managing social media, and generating print and web content for three years. She also worked as a production assistant on the Netflix interview series The Hollywood Masters, filmed on LMU’s campus with host Stephen Galloway, executive features editor of The Hollywood Reporter. The half Armenian writer-director recently premiered her thesis film, What Ana Knew, a short intergenerational drama about an Armenian American family and their unraveling secrets, at multiple festivals internationally, including Arpa International Film Festival, where it screened in the Egyptian Theatre Hollywood and was nominated for Best Short Film. Smurr currently teaches film and digital media at University High School in West Los Angeles and studies acting at the BGB Studio in Hollywood. She recently got hitched to her favorite street performer and film composer, Micah Byers, and resides in Santa Monica, California.